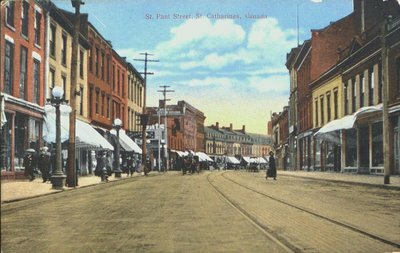 A postcard of St. Paul Street Business District (looking east), St. Catharines, Ontario. c1908. Published by Rumsey & Co., 1528 Queen St. West, Toronto, Canada.